EB Horsman Product Profile: Motor Trouble Causing You Grief? Let EB Horsman & Son Help! Motor Trouble Causing You Grief? Let EB Horsman & Son Help! Finally – Predictive Maintenance Made VERY easy! 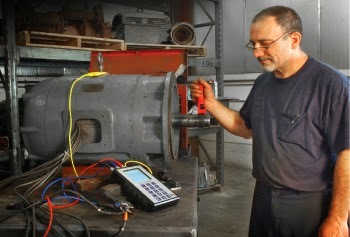 ALL-TEST Pro, LLC provides the most advanced predictive maintenance testing and troubleshooting tools for AC and DC motors, coils, windings, transformers, generators and more to a wide range of industries worldwide. 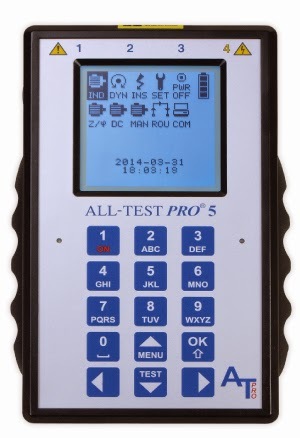 With a full line of testing instruments, software, accessories and training programs, ALL-TEST Pro has the tools you need to perform advanced non-destructive motor testing and analysis for both de-energized motor circuit analysis and energized electrical signature and power analysis. More than 12,000 testing instruments have been sold worldwide. Several of the easy-to-use models include intuitive integrated software, enabling users to perform testing and report on equipment trending and analysis with a single hand-held instrument. Models for de-energized motors provide early detection of internal winding faults for predictive maintenance, quality control and troubleshooting. 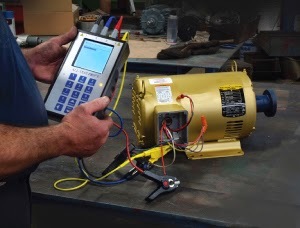 Energized motor testing models provide immediate information about incoming power and mechanical and electrical health, as well as analysis of the driven load. Built-in memory allows for storage of test data for reference. Most instruments come standard with software for data upload to a PC for printing, further analysis, cross-referencing and routing, as well as creating a history of any problems and solutions. Software is offered for multi-users. The extensive capabilities of the instruments, coupled with dependable post-sale training and technical support, ensure improved productivity, reduced downtime and a rapid return on investment.